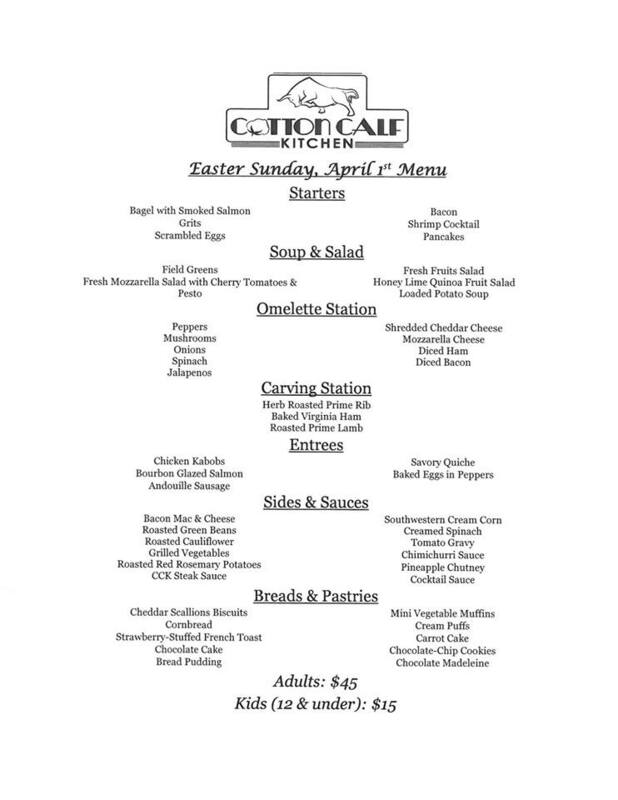 Cotton Calf Kitchen will be offering a special Easter Sunday Brunch from 10am-4pm, April 1st. $45 per Adult, $15 per Child 12 and under. We are already taking reservations and expect to book quickly. Please call (706) 684-0410 or book online at www.cottoncalf.com to reserve your table. Please note: We will be open from 10am-4pm April 1st for Easter Brunch and will be closed for dinner. CCK Father's Day Endless BBQ Cookout!